Following a successful launch at Attenborough Arts, Leicester, on 9 November, we are delighted to announce the publication of our two new pamphlets. Click here to get them! Marina Tsvetaeva (1892-1941) is considered by many to be the most important Russian poet of her generation. Her life, which coincided with some of the most turbulent years of Russian history, was one of extreme hardship. She was first and foremost a poet – everything else was secondary: ‘Through the indifference of grey moss / I proclaim – there will be poems!’ (‘Certainty’). 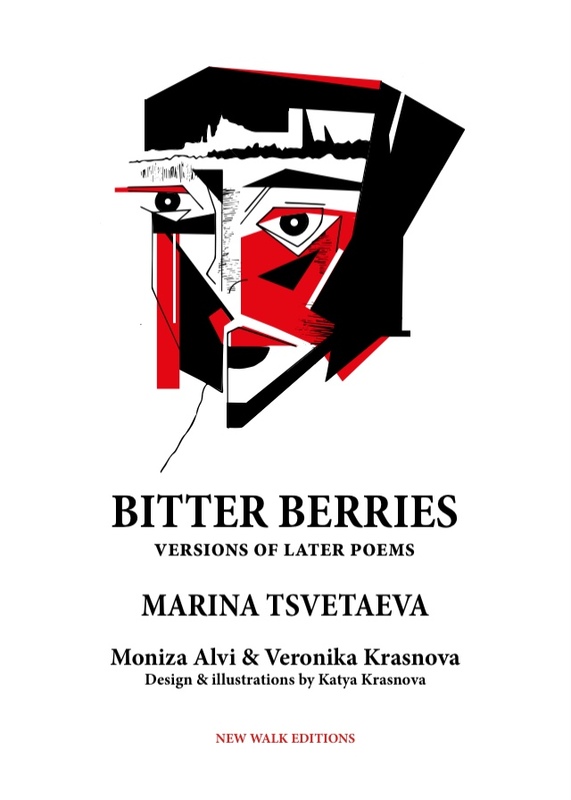 In Bitter Berries, Moniza Alvi and Veronika Krasnova have translated a selection of poems from her later years, covering themes such as exile, conflict, and a poet’s fate, and conveying this poet’s range, depth, passion and power to astonish. The pamphlet is illustrated by the artist Katya Krasnova. Moniza Alvi’s Homesick for the Earth, her versions of the French poet Jules Supervielle, was published by Bloodaxe Books in 2011. She received a Cholmondeley Award in 2002. Three of her poetry collections have been shortlisted for the T.S. Eliot Prize. Her most recent book is Blackbird, Bye, Bye (Bloodaxe, 2018). Veronika Krasnova graduated from Moscow University where she studied English and American literature. Her most recent translation was a selection of poetry by a contemporary Russian poet Stanislav Smelyansky, to appear in Holocaust Poetry: An Anthology edited by Jean Boase-Beier (Arc Publications). She teaches Russian language at UEA. 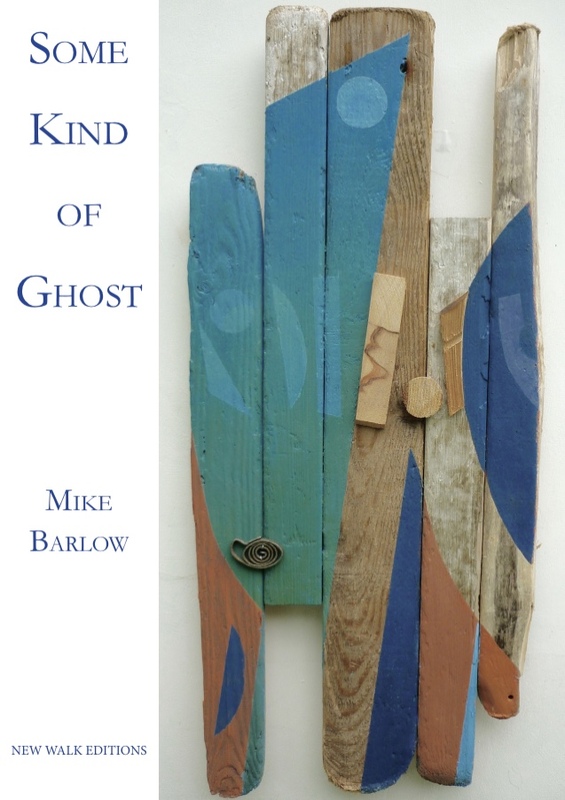 Born of this world yet not quite of it, the ghosts that haunt the poems in Mike Barlow’s Some Kind of Ghost play with parallel realities, the alternatives – imagined, remembered, sensed and intruded upon – that shadow the everyday and taken-for-granted. Shifts and shivers, blind faith and fear, unspoken thoughts, hindsight, false trails, a missed beat in conversation, all lead to that ‘knife-edge feeling / as the will to fly competes with gravity’ (‘Ridge Walking with Maddy’). Condensed and surefooted, the poems have a deceptive ease and informality which bridge the inner and the outer worlds to take you somewhere unexpected. Barlow’s first collection, Living on the Difference (Smith|Doorstop, 2004), won the Poetry Business Book and Pamphlet Competition and was shortlisted for the Jerwood Aldeburgh Prize. This was followed by two further collections, Another Place (Salt, 2007) and Charmed Lives (Smith|Doorstop, 2012), and a number of pamphlets, one of which, Amicable Numbers (Templar, 2008) was a Poetry Book Society Pamphlet Choice. He is a former winner of The National Poetry Competition. raggedness with metrical discipline, exacting eloquence with salty vernacular. With Invisible Rain explores location and dislocation in and of the body, through poems drawing on lived experience and found texts. Through the frame of the English Lake District, the poems examine living with invisible disabilities, and how pain might communicate, and be communicated. The pamphlet is organised around extracts from two longer sequences. ‘v/s’ explores experience of Genetic Haemochromatosis, the treatment for which involves having pints of blood taken to counteract iron overload. In ‘Much with Body’, meanwhile, words from Dorothy Wordsworth’s journals are repurposed to uncover the connection between the landscapes within and without: the external weather of the Lakes and the internal weather of the body. Mark Ford, John Gallas, Carrie Etter, Anna Saunders, Caroline Maldonado, Evan Jones, Toby Martinez de las Rivas, Gina Wilson and others. An interview with Toby Martinez de las Rivas. John Lucas on C. K. Williams. And a great deal more! This is, for the time being, the last print copy of New Walk magazine, as we turn our attention to poetry pamphlets. Buy here. ISSUE 13 – autumn/winter 2016/17 – BUY HERE! New poems by Tom Pickard, Mary Noonan, John Greening, Zayneb Allak, Aly Stoneman, Stephen Knight, John Lucas, Alan Jenkins, Sue Dymoke and others. N.S. Thompson on B.H. Fairchild. Artwork by artists from the Leicester Print Workshop. And a lot more! New Walk 12 is here. New poems by Josephine Corcoran, Kate Miller, William Bedford, Rebecca Goss, Carrie Etter, Alan Baker and many more. A short story by Helen Mort. Rona Cran on Frank O’Hara and Allen Ginsberg. David Wheatley on Ezra Pound’s Posthumous Cantos. Dimitris Lyacos in interview. Artwork by David Corbett and others. ORDER HERE! FREE POSTAGE WORLDWIDE.